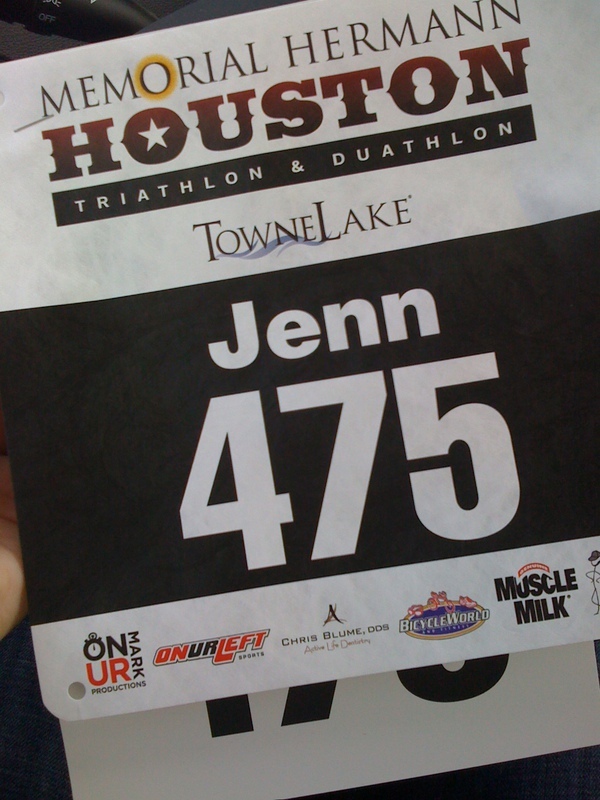 So, my first no-joke triathlon is Sunday. But really though, I think I’m ready. Last week (which was similar in volume to the 3 weeks prior) was 75 on the bike, 46 on the run (I’m still marathon training, after all) and 5950 meters in the pool. I’ve been hungry ALL THE TIME lately, if you’re wondering. This past Sunday marked my final long run before heading to Chicago (22 miles) and I didn’t have high hopes. Nearly every run that I’ve done outside since moving to Houston has been awful at best, and I hadn’t had a good long run since 4th of July weekend. And then on Sunday, something magical happened. I got stronger as the time went by. I ran the last 2 miles faster than goal pace and my heart rate stayed low. I finished feeling like I could definitely go for 4.2 more miles. So maybe a solid marathon isn’t out of the question for me on October 10th. No idea if going after that BQ is even realistic right now, but you know what? I’m ok with that. I’ve discovered over the past couple months that I used to obsess over my running because it was taking the place of other things in my life. These days, I do it because it feels good. Because I can. Not because it keeps me hanging on by a thread. Mr. E: This is it. I’m pretty sure the start is right here. Mr. E: (studies iPhone map) No, this is it. Come on, let’s get in. So I timidly made my way down to the water. Once I was waist-deep, I started sobbing uncontrollably. No joke. I remember saying “What the hell was I thinking?” and “I can’t swim!” and having very serious thoughts about getting the hell out of the water and selling my bike and ridding myself of the awful demon that had possessed me to become an Ironman someday. Instead, Mr. E let me latch on to him and cry for a few minutes. Then I dried my eyes, put my goggles on, and swam a few strokes. And treaded water. And swam a little more. And popped my head up and used the side stroke when my breathing was a little sloppy. He chased me around and kept cooing comforting things about breathing and the fact that I absolutely would not be allowed to drown during the race, so there was nothing to worry about. So I’m not saying I’m a champ open-water swimmer yet, but boy do I feel better about it. I’m going back on Saturday to scope out the course and splash around a little more, and I’ve been told that getting in the water before the gun goes off on race morning is a good panic-controller too. So that’s my plan. I know this is mental. In looking over my log, I’ve put in almost 30,000 meters in the last month. I’m not fast, and my technique is far from perfect, but I can swim. I can. I’d be lying if I didn’t admit that I’m scared, but in a good way. Sunday won’t just be my first tri, it’ll be me facing my fears. It’ll be me taking steps towards that big scary Ironman goal. It’ll be me proving to myself that I can do it. I asked Coach if he had any insider tips on managing the swim, and his answer was very simple. Catch you on the flip side. Happy running. GOOD LUCK! Swimming has always been the thing that holds me back from even setting the ironman goal, i think it’s great that you are facing your fear and getting after it! 10.10.10 is soon! I’m so excited for you! Glad you got a good run in! Your first triathlon is going to be tough. Their is no way to sugar coat it. Go into it with the goal of hvaing fun and finishing it. Focus on your strengths. Running. Run 4-5 times a week and mix 2-4 days of biking in there. Make sure you do some brick workouts (ie. bike and then run workout right afterwords). Mix in some swim training when you can, and make sure your comfortable in open water (lake, ponds, river). This is prob more important than actually being good at swimming. Also, practice your transitions (taking off wetsuit, getting on bike, putting on running shoes), you can save alot of time, just by being good in between the swim, bike, and run.The training program you mentioned is decent, but it depends on what the distance of the triathlon is. Sprint Distance, Olympic Distance, other? I would personally always take one day off a week. I also don’t substitute strength workout for a cardio workout, because the cardio is much more important in triathlon. The min amount of time you should spend training each time on the bike is 1hr, run 30-45min, and swim 30min.Hope this helps. My developer is trynig to convince me to move to .net from PHP. I have always disliked the idea because of the expenses. But he’s tryiong none the less. I’ve been using WordPress on a variety of websites for about a year and am concerned about switching to another platform. I have heard great things about blogengine.net. Is there a way I can import all my wordpress posts into it? Any help would be greatly appreciated!